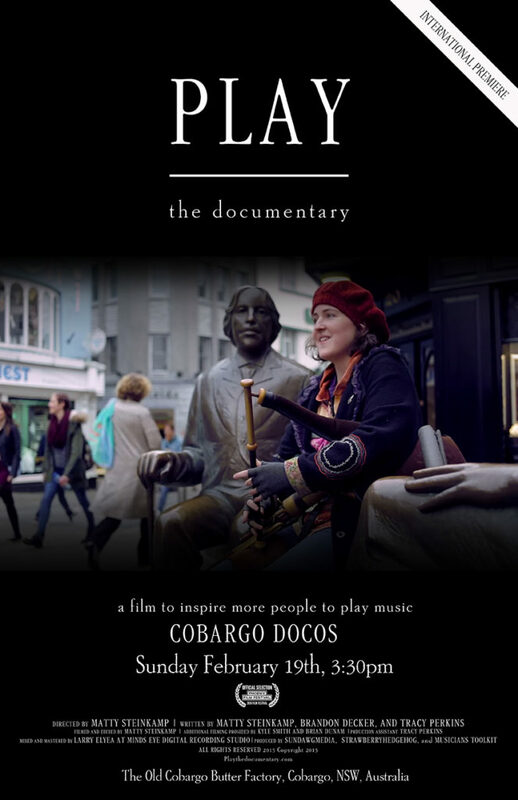 Play The Documentary will be celebrating its first International Premiere at the Cobargo Docos in Cobargo, NSW, Australia on February 19th at 3:30PM. Cobargo Docos is a monthly community gathering that focuses on screening documentaries from all over the world. The host and curator of the films, Lena Kuppen, has been bringing new docs to these events since September of 2014. She has screened some of the world’s most amazing new films such as “Salute – The Story Behind the Image” , “More than Honey”, and the ground breaking documentary “Alive Inside”. Play The Documentary is very honored to have been selected for this screening. To be a part of the culture in Cobargo is truly amazing.